The 300AD is an ideal step-up instrument, perfect for bringing the best out of advancing students. 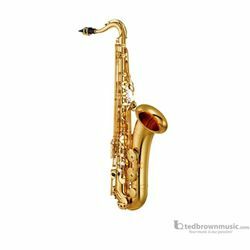 With a design based upon the Pro and Custom saxes, it shares many of their features, including highly accurate intonation, warm tone, and a quick response. The 300AD is easy to sound great on! It is lightweight yet durable, and comes with a backpack-style case for ease of transport. Silicon treatment helps protect the pads from moisture. A high F# key will take your playing to new heights as you begin taking on new repertoire that requires an even wider tonal range.